Lone tree at the peak. And it's dead! 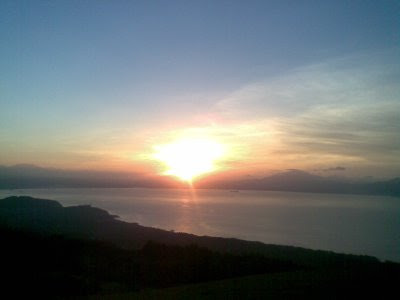 An amazing 360 degrees view of Batangas, the bay and its environs. I climbed this mountain twice already, the first one being the birthday climb of a friend of a friend. It was the first time I met most of the other climbers (about 10 of us) in the group, but they we're a bunch of cool and funny people that is was a great experience. 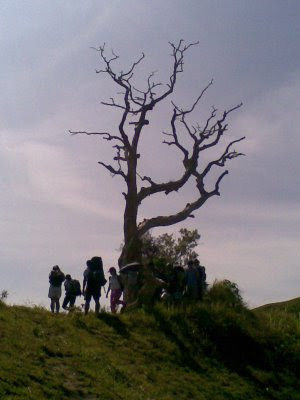 The second climb,though there were only 4 of us, was more memorable because I was with my beloved sis (it was her first climb) and my special someone (first time climber. The fourth person was my house help, it was my treat for her (though despite the difficulty, I'm sure she enjoyed herself especially with the swim after). population : The vast majority of Filipinos are descendants of Malays, Chinese, and Muslim minorities. More than 100 cultural minorities are scattered all over the country. geography : The Philippines is an archipelago located between the Philippine the Philippine sea and the South China Sea, east of Vietnam, and north of Sabah and Borneo. It spans 1,900 kilometers from north to south, 1110 from east to west. environment : The Philippines is rich in biodiversity, with around 12,000 plant species, 1100 land vertebrate species, and at least 500 species of coral. Total forest area is around 18%; coastal ecosystem reaches around 20,000 km. I took this amateur video on our trip from Vigan to Pagudpod. Make sure you have read and you agreed to this site's disclaimer. A video prepared by a friend of our trip to Calayan Island, part of the Babuyan Group of Islands. Please watch for my next post on the details of this trip and on information on Calayan and how to get there. Video courtesy of Jo B. Many thanks! Surely, we enjoy the company of friends when we travel. But when in a situation where we find ourselves alone, there's no reason to feel bad and miss out on the best that a place has to offer. 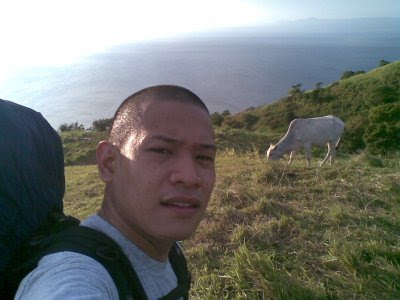 Welcome to my blog - Lonely Pinoy Traveler. My name is Froilan. If you want to know me more, visit my personal blog here. One of the things that I love doing the most is traveling. And in this site, I will chronicle all my travels in the hopes of showing to the world what a beautiful country we have and hopefully, this will encourage others to travel as well. Why Lonely Pinoy Traveler? I will explain that in my next post. So please do come back and discover the heaven that is the Philippines.